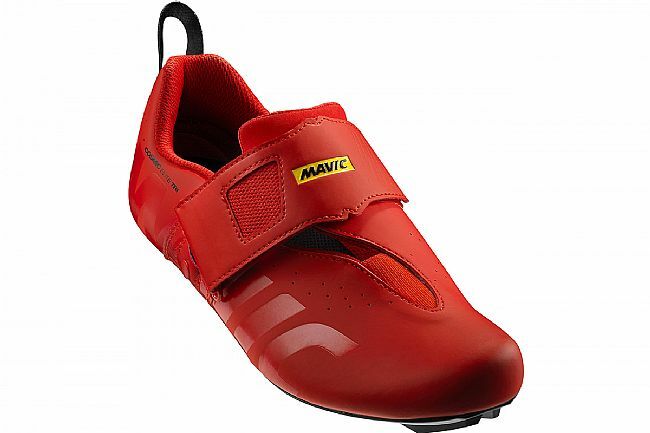 The Mavic Cosmic Elite Triathlon Shoe is a triathlon performance cycling shoe with the best balance between transfer and comfort. 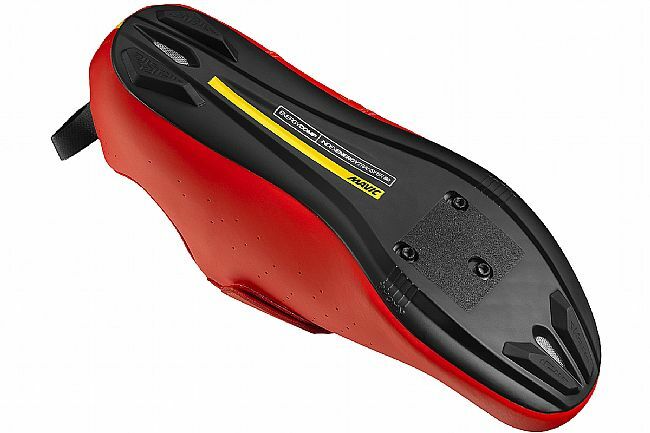 The Energy Comp Outsole brings the rider's sole closer to the pedal for increased efficiency. The OrthoLite ergonomic insole delivers superior cushioning and unmatched comfort. The supple synthetic micro fibre upper delivers an optimal fit, and ventilation is enhanced by strategically placed laser cut holes for air flow. 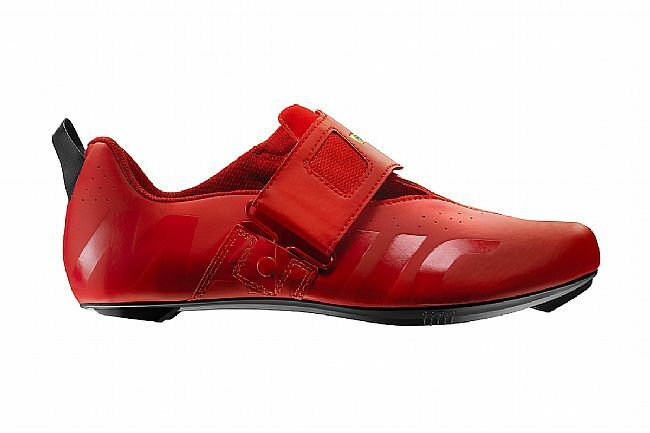 The heel loop is designed specifically for triathlon use and the wide strap closure makes transitions fast and easy.